I wonder how many modular-board scenario-based standalone miniature battle games do we really need? If you said, “Just one more, as long as it’s got Bruce Campbell in it,” you’ll be happy to hear about the Evil Dead 2 miniature boardgame that was recently launched. Does it hit all the notes? Early Bird Special that’s already gone: check. Three dozen plus miniatures: check. First ever KS by a company you’ve never heard of before (Space Goat): check. $100+ price tag: che– what? The “deluxe” edition is only $80? Huh. Come get some. Cryptozoic Entertainment is releasing The Walking Dead: No Sanctuary which is a modular-board scenario-based standalone miniature battle game. Early Bird Special gone: check. Three dozen plus miniatures (68): check. First ever game: nope, it’s Cryptozoic, who has done lots of stuff. $100+ price tag: check — $125. Anyway, this one looks like it has better graphic design than Evil Dead 2. Get your argument battle simulator here. 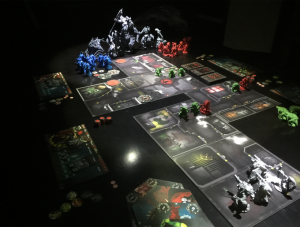 Meanwhile in space, Dethrone Games has Darkness Sabotage, a modular-board scenario-based standalone miniature battle game where you’re space pirates fighting demons instead of zombies (not that anyone would call them “zombies”). Early Bird gone: what? Five slots left? Scads of minis: check (46). First ever: kinda — they had another modular-board scenario based standalone miniature battle game that was cancelled. $100+ price tag: It’s right there at $127 CAD. Get your Event Horizon/DOOM/Space Hulk hybrid. 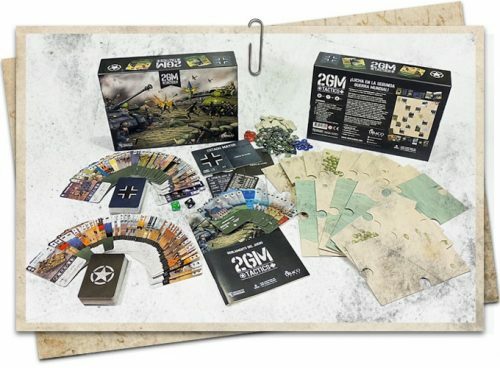 Back in World War 2, Draco Ideas presents 2GM Tactics, a modular-board scenario-based standalone card and token battle game. Set in the European Theater of Operations, this game uses cards and tokens instead of fifteen pounds of plastic to represent the units. Run ’em! Early Bird Pricing All Gone: check. Tons of minis: well, cards and tokens. First Ever Game: nope! $100+ price tag: only $83! Bust some Nazis. People Vs. 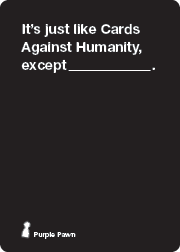 Politics is Cards Against Humanity, but with forcing uncomfortable political discussions into your circle of friends. “Some people feel our game is offensive and racist. While some of the topics touch on these issues the overall goal is to create dialogue…” with such discussion-starters as “a bigger, blacker Washington Monument”, “going to college for free because you’re 1/18th Indian”, and “anchor babies”. It’s like finding out how racist your uncle is on facebook, but in person. Last week: Did Pick Your Poison make it? We were looking forward to this Would You Rather… game making it, but nope — it passed 20% of the funding goal before ending. Not really sure how “1/18th Indian” works out. That’d be your great-grandfather was 100% Cherokee and his wife’s grandmother was full-blooded Sioux plus you’ve got a great-great-grandparent that’s 3/4 Lakota? It’s like how there were two different The Walking Dead boardgames, one by Cryptozoic and one by Z-Man, both released at the same time. Why? One is licensed from the television show and the other is licensed from the comic book.